There are 4.4 million young people aged 18-24 across Europe who have left School, Education and Training before obtaining any upper secondary qualifications. A door of opportunity closing for each of them as a result. Each year around 630,000 doors are closing, 72 per hour… more than one a minute. Unlike a real door, those doors of opportunity closing on Europe’s youth often make little sound when they shut; most of us don’t see or hear them. If everyone slammed the door as they left education or training early, maybe we’d be more aware of it. But they tend not to. And by the time you’ve read this far, a second door will have closed, as another young person leaves. That’s two so far. If you get to the end of this article, it will be ten. Cities and people working in this field are very well aware of the phenomenon of Early Leaving from Education & Training (ELET) as a problem, normally with a good sense of the scale of it within their city. Getting to the specifics can be more of a challenge, and many cities have to operate without good data to help them focus and target their efforts. This can be for a variety of reasons, from the national legislation and framework not making the data available at a city or district level (as is the case for most cities in France, for example) to the cities themselves having poor systems in place to capture or use this data. Whatever the reason, it makes targeting activities and measuring the effectiveness of interventions much harder on a local level. City partners in this situation have to rely on their own, anecdotal, knowledge of the local conditions without having concrete data to back up those assumptions. Many cities have access to the relevant data but are not yet effective at using it to understand the ELET landscape in their locality and to structure their response accordingly. But even in those cities where data is available and used effectively, the tracking of both the causes and the results of drop-out from school is still a challenge. Without individual tracking of young people through the school system, it is almost impossible to understand the true picture. Does someone leaving a school at age 17 leave education and training entirely, or do they appear three months later at a different institution? If they do leave altogether, how can we get to understand the circumstances if we don’t know where they are now, or even who they are in many cases. Cities can obviously improve and develop their capabilities and capacity regarding the collection and use of data, and this appears to be a priority for many. But introducing new tracking and monitoring systems can be, at best, complex and expensive, and at worst, not permissible under the prevailing legislation. Without this type of insight, cities will always be replying on a degree of intuition in their policy responses. The advantage in this field is that good practice in reducing ELET is both well-established and well-documented. For the EU, the reduction in ELET (formally ELS - Early School Leaving) has been a priority since before 2010, and there is now a wealth of carefully developed policy responses and interventions available and applied in member states across Europe. Many of the policy measures are based on a greater involvement of a wide range of stakeholders in the life and running of schools and the ongoing development of young people. This builds on a variety of research which points to parental and other extracurricular support being a core determinant of education success, sometimes greater than the educational systems themselves. Policies such as the ‘Whole School Approach’ and developing ‘Community Schools’ advocate this type of wider involvement and are promoted at an EU level within the field of Education. What we still need more of is the robust testing and evaluation of policy measures as well as guidance or assessments on how to implement such policies effectively to have the desired effects. Whilst this field is rich in policy, it is relatively poor in terms of tried and tested measures that have been evaluated in detail, including considering the context in which the intervention was implemented. Context is everything with implementing policy responses for ELET - what works well in one setting will not necessarily work well in a different one. 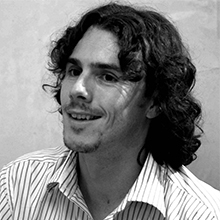 A successful method from a city with a stable population may not work effectively in a city experiencing high levels of immigration; a plan that works in a small provincial city reliant on just one or two industries may not work in a large capital city with a diverse and mixed economy. This understanding of context is a core area for further investigation, and one that URBACT's Implementation Networks are seeking to address. Education systems across Europe vary considerably, meaning any particular ‘best practice’ may only be relevant in certain contexts or certain countries. It is critical to understand the important ‘conditions for implementation’ for any particular good practice: what exactly makes it effective? why does it work? what conditions are required? If that is then combined with a thorough baseline evaluation of the city looking to adopt a good practice, this enables the practice and the city to be checked against each other to determine a suitable ‘fit’ (and likelihood of success). They can then adapt the practice or alter the context (or both!) to ensure that the practice being adopted is deployed effectively and creates the desired results. Without making such adjustments, there is an increased risk of a policy being less effective than it could be. With many local authorities facing shrinking resources, we can’t afford to spend time and money trying to push a square peg into a round hole. However, ELET is not the only field for which context is important for implementation. Most fields will need to consider this to a greater or lesser degree. URBACT’s Implementation Networks (and the upcoming URBACT Transfer Networks scheduled to be agreed later in the year) will all need to contend with these issues as their respective action plans and good practices are put into practice in cities across Europe. 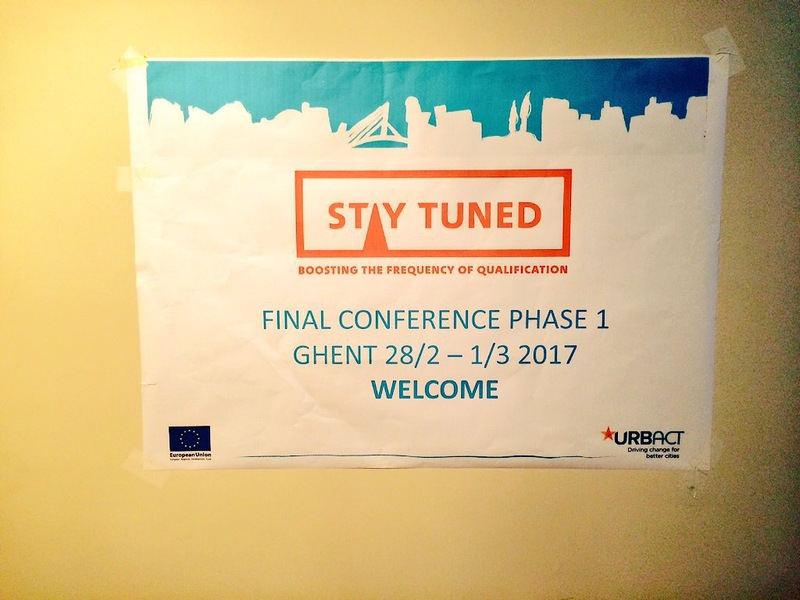 The Implementation Networks have already begun to grapple with these challenges and the URBACT network Stay Tuned is no exception. 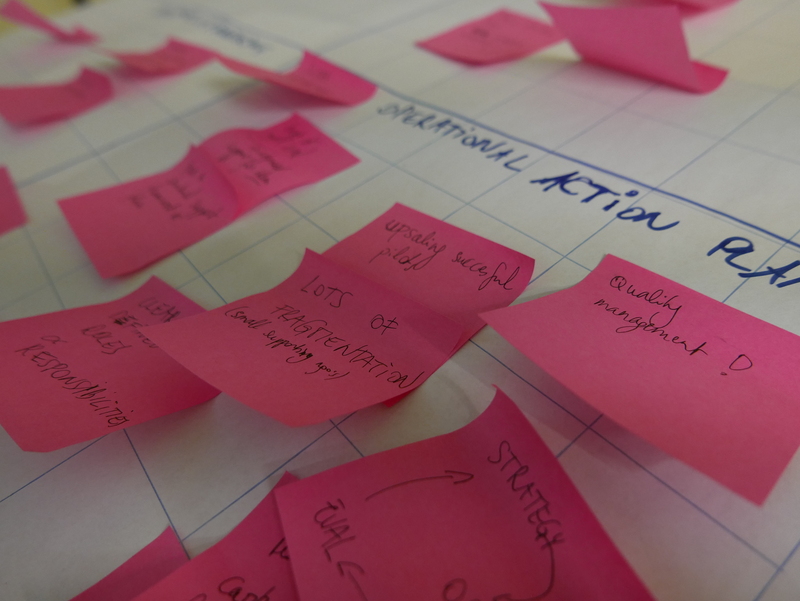 For URBACT Implementation Networks, the biggest change from the Action Planning Networks is the fact that collaborative delivery is not the same as collaborative planning. While much of the same mindset and principles apply (such as the integrated approach and participation of stakeholders), the practical application is quite different. At a very basic level, the URBACT Local Groups (ULGs) have quite a different role in the Implementation Networks. For the successful implementation of a new policy or plan, in addition to ‘policy practitioners’ (subject experts on the policy side) we also need ‘change practitioners’ to design and manage the roll-out of the policy, guiding the transition from current state to future state. This is an often overlooked point, not least because it is sometimes (maybe even often!) possible to successfully implement new policy without any expertise in the art of ‘change’. This generally occurs due to one of two things: either 1) luck; or 2) that the people implementing the plan already have a natural ability in implementing policy in this area - they just don’t treat it as an explicit skill or discipline. This leads to ‘Implementation Blindness’ - a situation where those who implement something successfully don’t know why they succeeded, for example when people succeed by natural ability without being aware of a particular implementation method. Looking at things through an implementation ‘lens’ is new to many people. In the example of the Stay Tuned network, the majority of the project leads from the partner cities are Education or Youth practitioners, rather than change practitioners. This does not mean they cannot implement action plans successfully; but it does mean that the act of considering Implementation as a discipline in its own right, with a core set of skills, methods and mindsets is not commonplace. With such a rich set of policies in this field, the Stay Tuned network will shed a much needed light onto the practice of implementation, drawing out lessons and good implementation practice that can be shared with other city departments and with other cities across Europe. But there is also the other side of the project, which is that these partners are looking to reduce ELET rates in their cities and help young people gain much needed qualifications. Implementation itself is the means not the end - but good practice in implementation is essential to help meet our goals. For Stay Tuned, that means keeping more doors of opportunity open for young people across Europe, so that they may pass through and onto greater things. Let’s hope that the lessons from keeping those doors open can also be passed on to others to help them implement their plans and successfully change their cities to improve the lives of those living in them. Reducing congestion for a healthier, wealthier city.